Well folks, Christmas is almost upon us, and on behalf of my family, I’d like to take this opportunity to wish you all a fantastic Christmas and New Year. As per tradition, we’ll be having not one, but two “Christmas days” in our home this year. We’ll be celebrating Swedish Christmas on the 24th, and then English Christmas on the 25th, along with a rather delectable array of food and drink for each day’s main meal. We’ll be having people over to celebrate with us on both days. It’s a lot of work, cooking for seven people one day, and then eight the next but it’s Christmas after all, and for me that’s all about togetherness, friendship, and mutual celebration. The 25th is going to be a traditional English lunch – roast turkey, roast potatoes, roasted parsnips, carrots, and sprouts, yorkshire puddings, sausages wrapped in bacon, gravy, cranberry sauce, and all topped off with a Yule Log and mince pies with brandy butter. 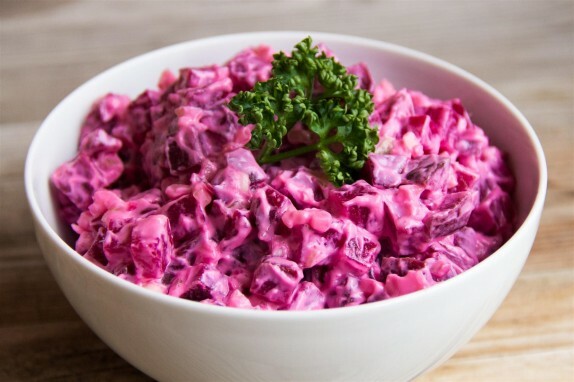 The 24th is going to be a traditional Swedish Julbord (Christmas table) – gravlax, pickled herring, meatballs, sausages, boiled eggs, hard and soft bread, boiled potatoes, Jansson’s Temptation, kavring (a type of bread which I’ll post a recipe for one day soon), beetroot salad (the subject of today’s post), rice porridge, and all rounded off with gingerbread cookies and cake. Phew – that’s quite a list. Add to that having to get the timing right and things are looking a bit hair-raising, so thank goodness for simple things, like the beetroot salad which takes mere minutes to throw together. You can make it the night before. No, scratch that, you should make it the night before, as the colours will infuse over night giving a much more aesthetically pleasing dish. 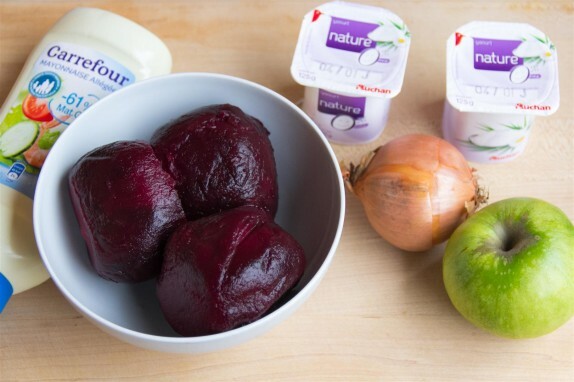 Beetroot haters of the world – feel free to skip this. 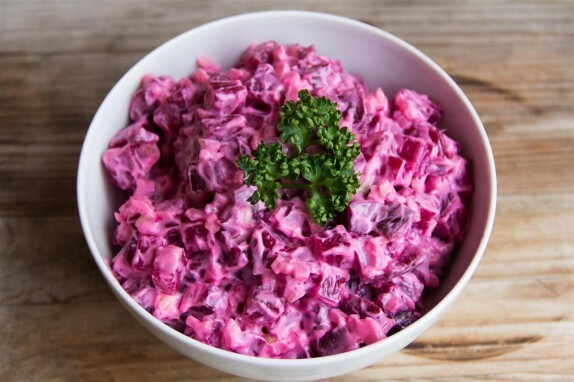 If you’re not a fan then this dish isn’t going to change your mind but if you are then this makes a wonderfully light, colourful, healthy and fresh addition to the traditionally starchy, carb-laden meal. I’m starting to think I’m a bit beetroot-obsessed, I post it so darn much! Anyway though, I’ll leave you for now and will be back after Christmas with the best roast beef! Seriously – it rocks. I posted a roast beef recipe before but screw that, it’s garbage compared to this. Have a happy and a healthy one y’all! Try to make this dish 24 hours in advance. 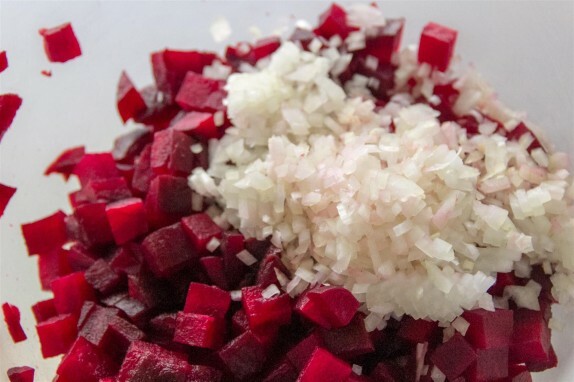 Start off by dicing the beetroot into small cubes. Peel, core, and grate the apple, and then peel and finely chop the onion. 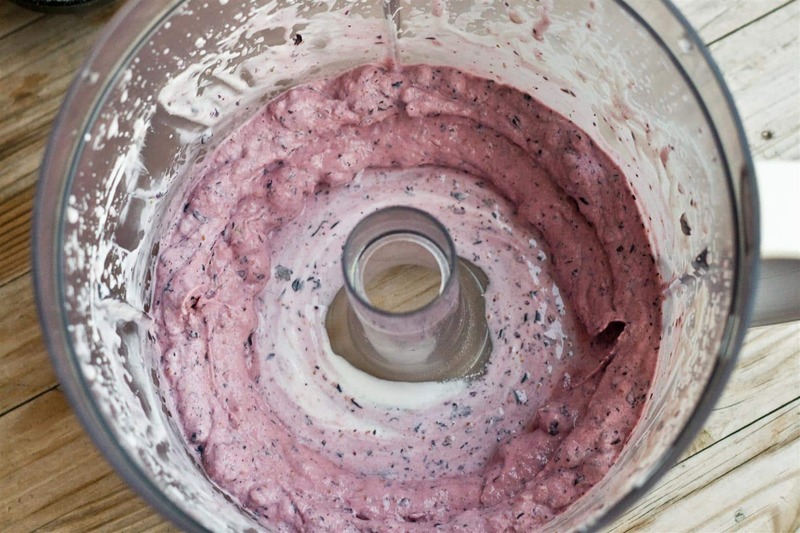 Transfer to a large bowl and add in the yoghurt and mayonnaise. Mix the ingredients well and season to taste with salt and pepper. Transfer to a suitably sized bowl or container and store in the refrigerator. The next day, mix the contents of the bowl again to ensure even sauce and colour distribution and enjoy as a Christmas table accompaniment. Greetings everyone, I hope you’re having a good Friday. For my American readers, I hope you had a wonderful Thanksgiving Day yesterday. I’m back with the promised cake! It’s seemed like such a long time since I posted a sweet dish (although to be honest it probably wasn’t that long). It’s almost the end of November which can only mean one thing: December kicks off in just a few days and with it the festive season. I have to say, I haven’t really felt “Christmassy” yet, though no doubt that will come in time. What I do start to do around this time of year though is think about what sort of things I’m going to be making in the way of food on the 24th and 25th of December. As nice as it is, I’m not going to be making another English Christmas Cake this year. I only like it in small quantities and it’s a lot of work for something I only enjoy about one or two slices of per year (did I mention that I found last year’s Christmas Cake in the cupboard in August and it was still perfectly edible and moist from all the brandy in it?!). I don’t think I’ll make a Yule Log this year either and decided that I wanted something with a rather more traditional, festive flavour, as well as something which isn’t too rich (since I’m trying to shed a bit of weight – I already lost 4 kilos! 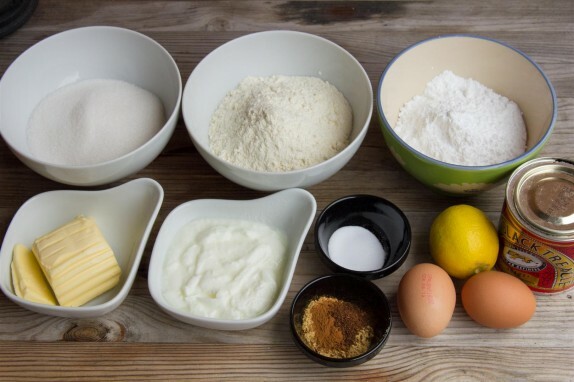 ), so… enter the gingerbread cake. If you’ve tried Swedish gingerbread (pepparkakor) before you’ll be familiar with this combination of spices. 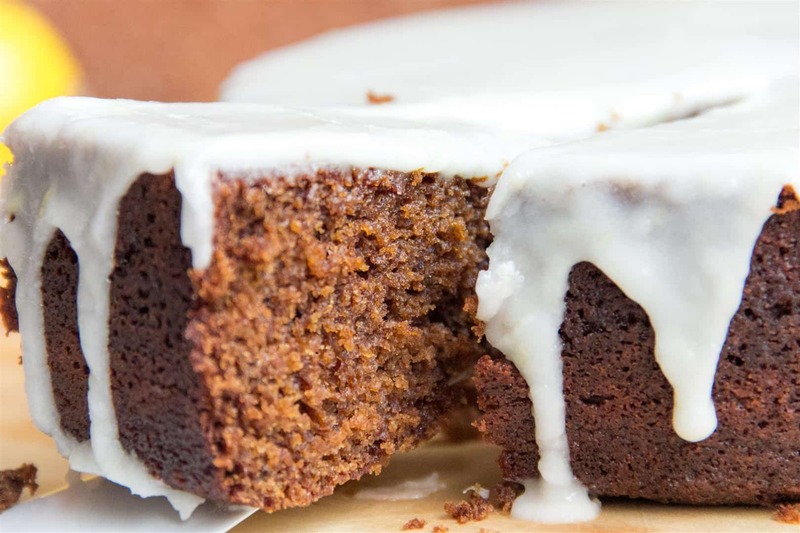 The cinnamon and ground cloves really take it away from being just a “ginger cake” and into all sorts of Christmassy realms. 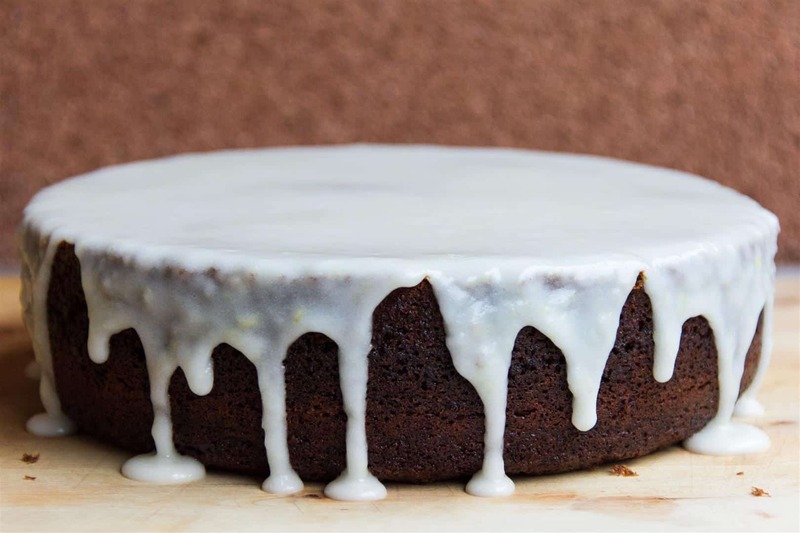 You can serve it plain, if that’s what you’re into, but the simple, tangy lemon frosting is a perfect accompaniment and as a result I’m pretty much settled on this as being my season’s cake this year. I have some more Christmas dishes which I’ll be posting as the weeks go by in the run-up to the 25th so I hope you’ll check back and take a look. Christmas for me this year is taking on a whole new meaning though – it’s not about the food this time, but about the little bundle of joy we have in our house who’s sleeping soundly as I write this. More than ever before it’s about celebrating love, and family, and I’m looking forward to taking walks with my wife and son in the forest during the holidays, enjoying the togetherness, and the crisp, fresh air. Dare I even hope for a little snow? We’ll see! Eva from KitchenInspirations recently suggested that I post a photo per month so you can see how the little guy is growing up. I thought that was a marvellous idea, especially since he’s getting to the age now where he can support himself much more steadily, making photographs much easier to set up, so, even though I’ve already posted one earlier this month, here’s another one – the official November photo – for you here :). 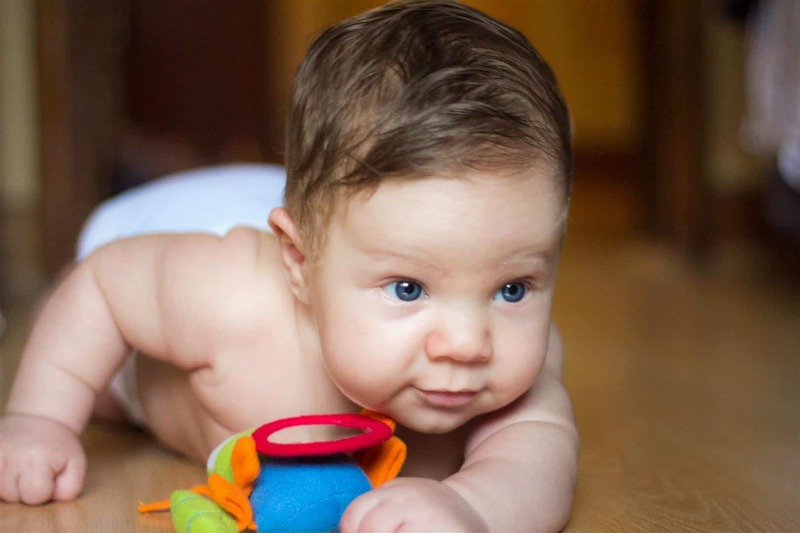 He already so desperately wants to crawl, but can’t quite do it, so lies there and wiggles his legs and arms back and forth :). Have a wonderful day and a great weekend, and I’ll see you back soon! 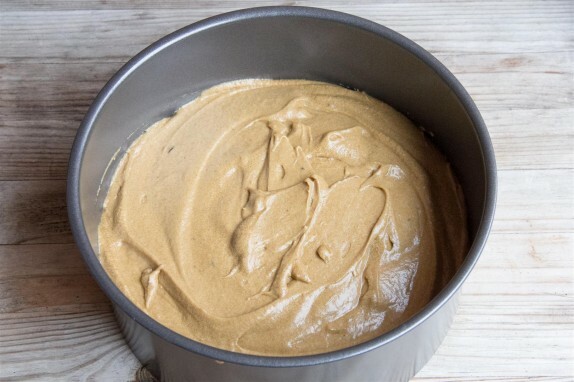 Grease a 20cm cake tin and transfer the batter into the tin. 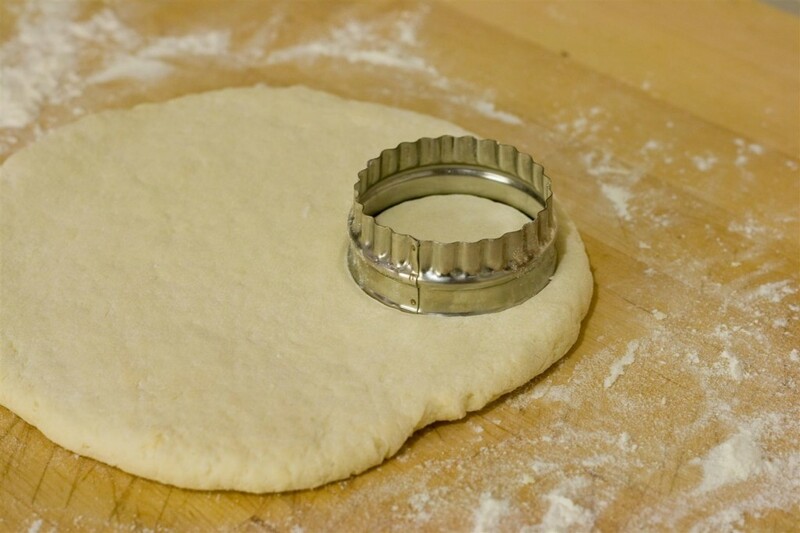 Place the tin into the preheated oven and bake for 50-60 minutes, depending on how effective your oven is. Test after about 50 minutes with a fork or skewer to see if it comes out clean. Once the cake is done, remove from the oven and allow to cool. 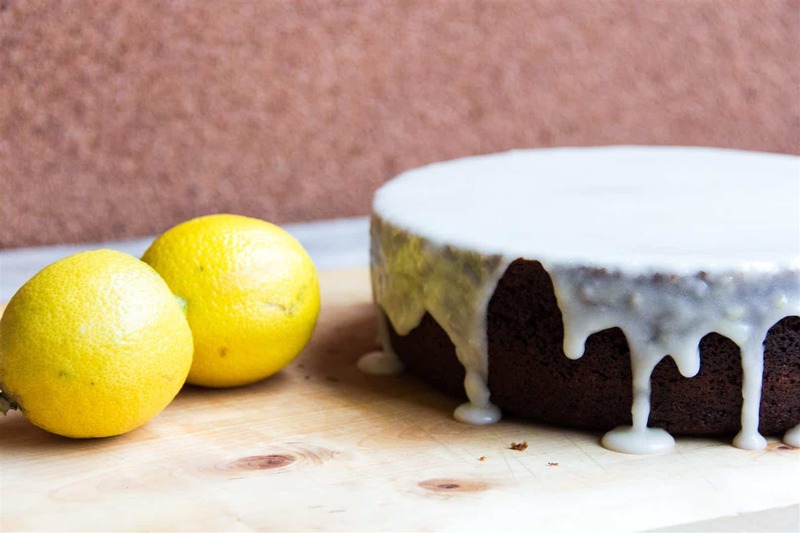 While the cake is baking, zest the lemon, being sure not to grate away the white pith and then place the icing sugar into a large bowl. Add in the zest and the lemon juice. 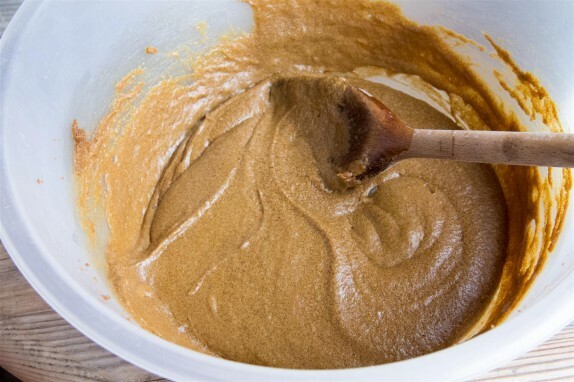 Mix together to form a thick paste. Before I get to the post of today though, I’ll tell you all about a restaurant I went to last night in Paris. We decided to go somewhere a little different and actually went to a place called Les Pâtes Vivantes – a Chinese restaurant where they actually make the noodles in front of you. The dining experience is punctuated by periodic bangs as the chef slams the noodles, stretched out between his hands, onto the counter-top in order to make them longer. A lot of fun to watch while waiting for your food! The menu in general is good and an enormous bowl of the hand-made noodles with big juicy shrimps, or stir-fried with vegetables and so forth is very reasonably priced, as well as being a good experience. They actually have two locations – one in the 9th arrondissement, and I guess this one proved popular because they then opened the second, in the 5th arrondissement. On the off-chance you find yourself in Paris sometime, I’d recommend it – heck, even David Lebovitz gives it a favourable review. The one down side? Some might argue this is a pretty major flaw, but – perhaps they were having an off night or were short-staffed, or perhaps this is just “how it is”, but they didn’t time the preparation of the main courses at all well. There is one guy making the noodles, and he seems to prepare all the noodle based dishes too. My wife received her bowl quite quickly and waited. She waited, and waited, and waited, and meanwhile other people were being served their noodle bowls, so we encouraged my wife to start, lest her food be cold. Finally they came over with another bowl – the food for our friend. Then we waited, and waited some more, while other people were receiving their food again. By the time my wife was pretty much done with hers, they then came out with my dinner. Wonderful, I’m so glad we could have this opportunity to sit down and enjoy a meal together! Well, actually, we did enjoy a meal together because I stole my wife’s noodles, but it’s still hardly an ideal situation. I would have thought that at least making an effort to serve the meals to your groups of customers at roughly the same time should be one of the very core goals of a restaurant, no? Apparently not here. Still, the food was pretty good for the price, it was a good experience and the waiter we had was very cheery so give it a look if you have a chance. Anyway, on to today’s post. Despite the fact that it’s belting it down with rain right now, it has actually been quite hot and humid recently and I decided to make this, which my wife actually told me about. No messing about with ice-cream machines and piles of different ingredients. 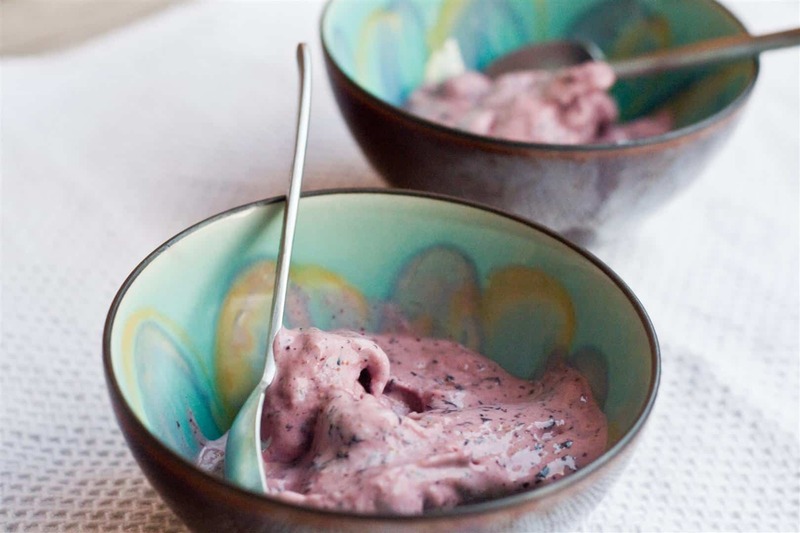 This has just 4 simple ingredients and the end result is a very smooth, soft ice-cream. If you want it a little more solid still you can return it to the freezer for another 30 minutes or so, but as long as you work quickly when making it, it should be absolutely fine. Excuse my photos today – I just could not make the stuff look good – oh well! 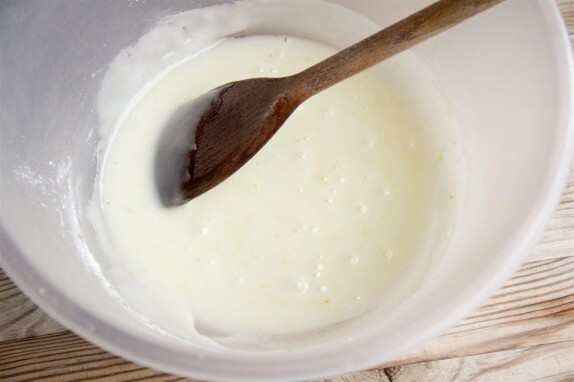 In your Food Processor, place the yoghurt, icing sugar and vanilla sugar. 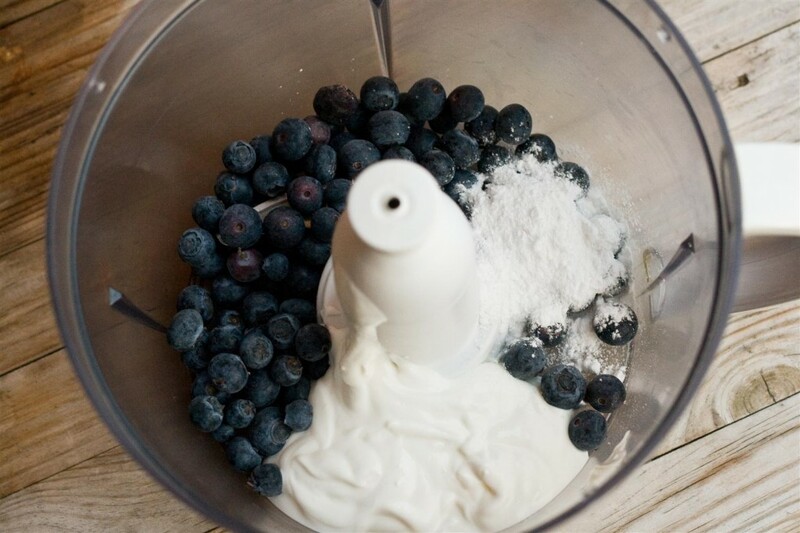 At the very last moment, add the blueberries, so they will be as cold as possible. 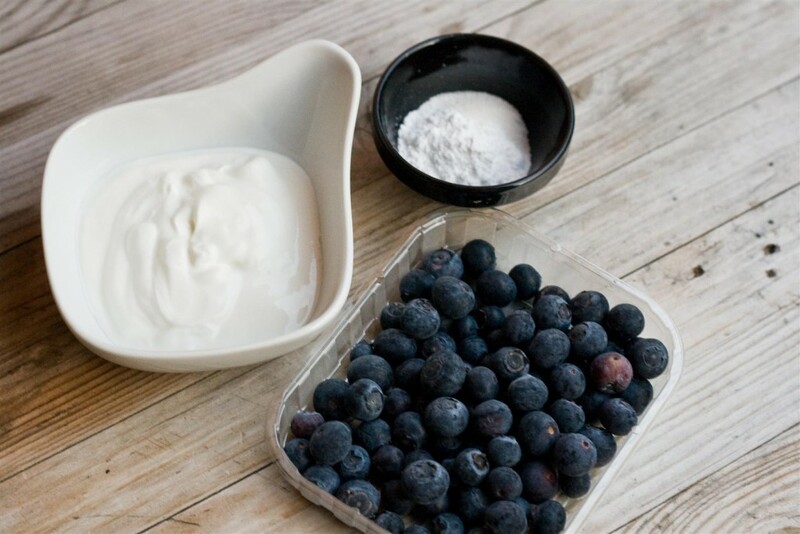 Blitz on high speed until the blueberries are broken down and the yoghurt has taken on a thick, ice-cream-like consistency. You’re done. Serve into bowls. 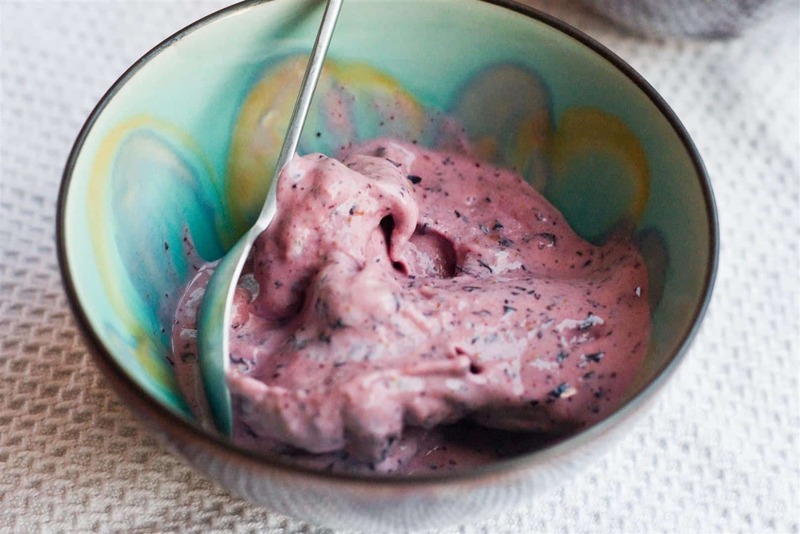 If you want the ice-cream to be a little thicker, place into the freezer for another half an hour or so before enjoying! [dropcap style=”font-size: 60px; color: #0B0B61;”]Well, it seems like an absolute age since I was here. I’ve been somewhat absent from my blog for the past 6 or 7 days – indeed, from blogging in general, and I’m looking forward to seeing what kind of tastiness everyone has been cooking up during my time away. The truth of the matter is that I had a friend over in France visiting me and after visits to Paris and various other local areas time somewhat got away from me. Up to now I’ve still been recovering – I’m really not used to such busy weekends! 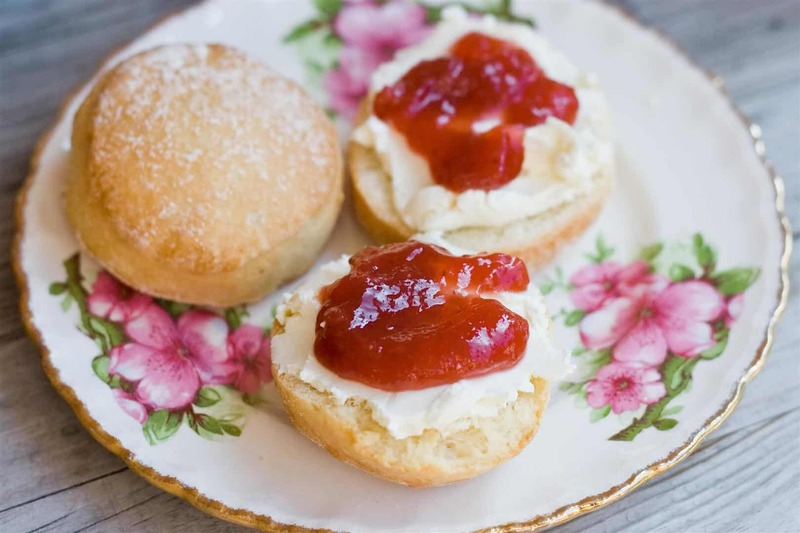 😀 I’m back now though, continuing my run of “Englishness” and today I thought I’d ease back into blogging with something rather easy, but nonetheless delicious – and I’d even say vital to the English tea-table. 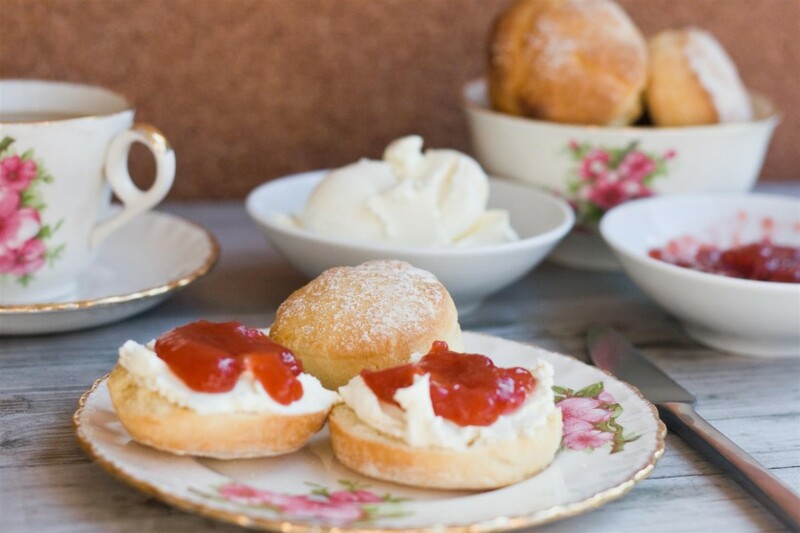 These can usually be found nestled on a plate beside the cucumber sandwiches and what many of you in the US and Canada may know as “biscuits”, I know them best as scones, and I’m going to talk about a delicious English tradition today – Cream Teas! indirectly heating full-cream cow’s milk using steam or a water bath and then leaving it in shallow pans to cool slowly. 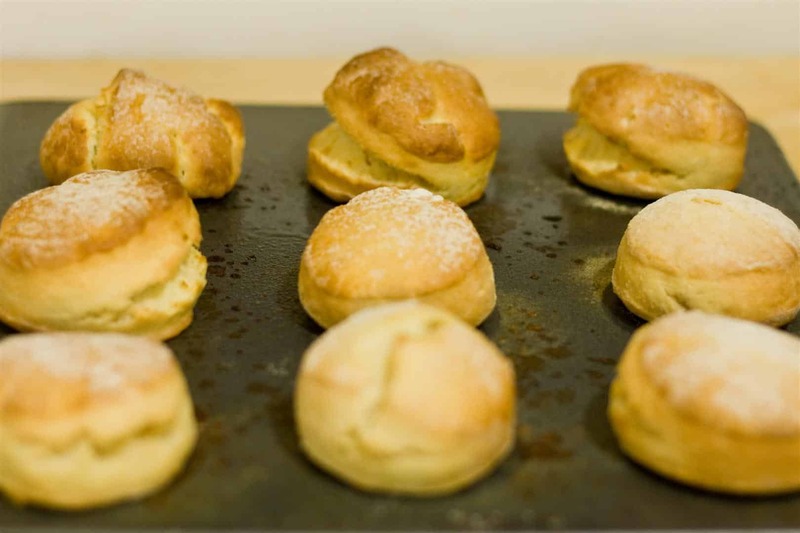 During this time, the cream content rises to the surface and forms ‘clots’. 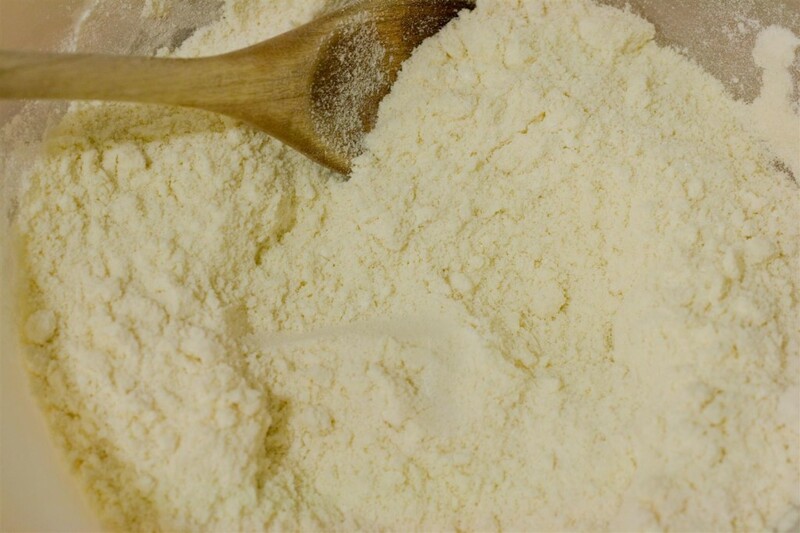 Start by preheating your oven to 220 degrees Celsius and then place the flour and butter into your Food Processor and pulsing until well blended to a breadcrumb-like consistency. If you don’t have a food processor you can rub the flour and butter between your finger-tips and achieve a similar result. 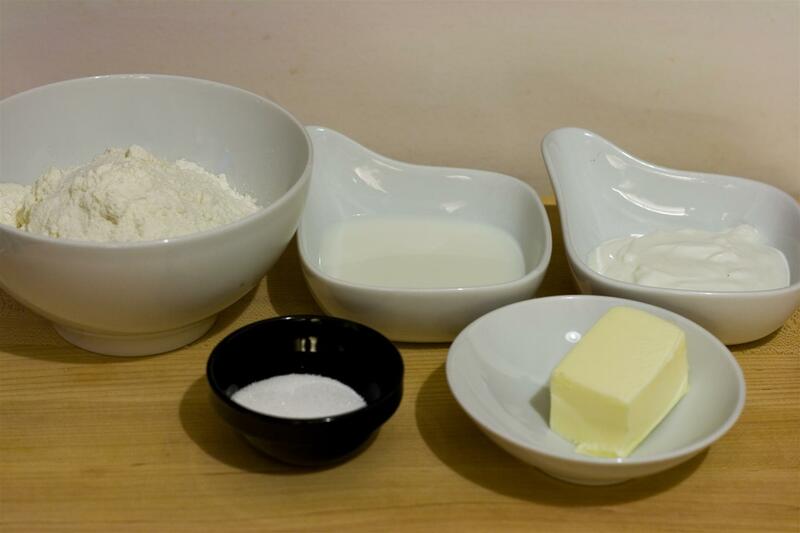 Next, stir in the milk and the yoghurt to form a sticky dough. 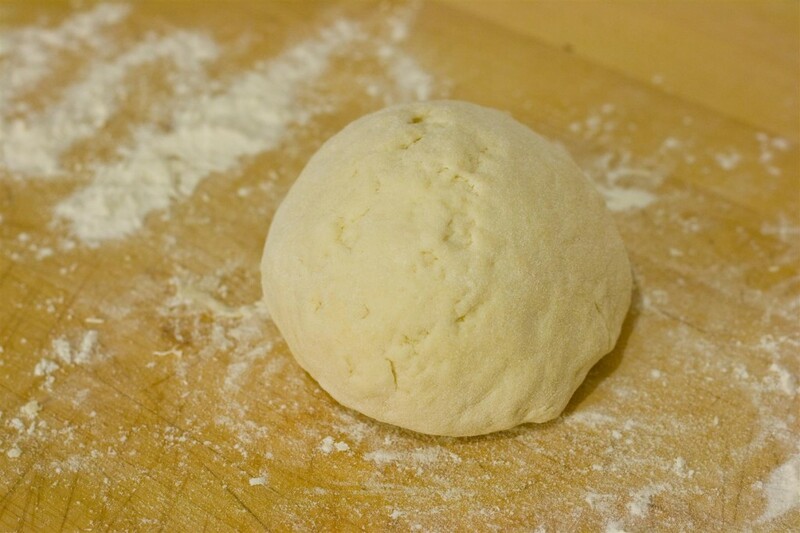 Turn out onto a floured surface and knead with your hands to form a smooth, elastic ball. Roll out to a thickness of about 2cms and then cut into rounds using a cutter about 5-6cms in diameter. If necessary, push together the dough scraps to cut more scones. 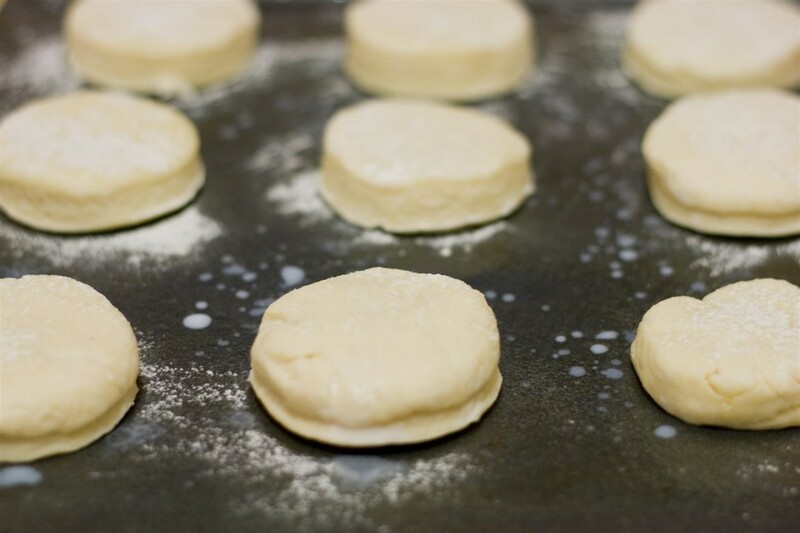 Transfer the scones to a greased baking sheet and brush with a little milk before placing into the preheated oven. Bake the scones for ~12 minutes, until they’ve risen well and are golden brown on top. Remove the scones from the oven and set aside and allow to cool for 10 minutes or so. 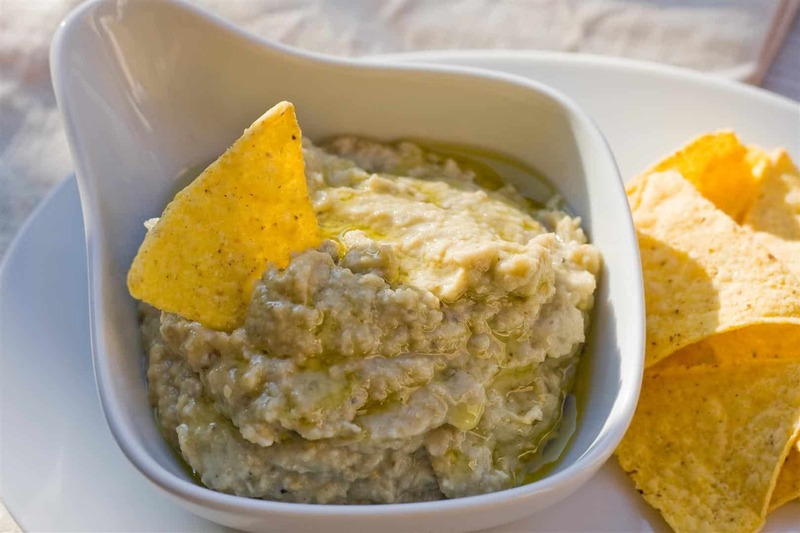 [dropcap style=”font-size: 60px; color: #0B0B61;”]Perhaps not many of you remember my first post on Baba Ghanoush, here – Late December, 2010 – I didn’t have a whole lot of visitors to my site back then 🙂 Anyway, I cobbled together a Baba Ghanoush back then which, though not bad, didn’t quite hit the mark. I’ve had some time to improve upon the recipe since then and so I thought what better than to do a little “redux”. The problem last time wasn’t that it was bad, it’s just that it pretty much blew you away with the strength of the lemon juice and the garlic. 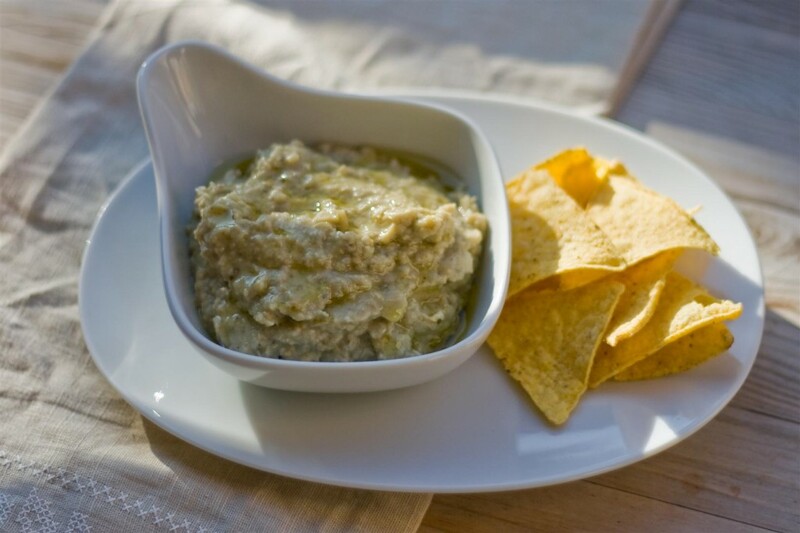 I like to add the yoghurt – it pads out the flavour and gives a slightly creamy, mild touch to the dip, but if you want to make it full on vegan then you can skip this as it’s absolutely not necessary. Best served up with chips, maybe a bowl of hummus (make sure you had the juice of one lemon to that too when blending – it really improves the flavour!) and you’ve got yourself a rocking snack! Although the cost of Aubergines can vary a lot depending where and when you are buying them, I was able to buy these 3 below for about €0.80, so not only is this delicious and quick but it’s also pretty damn cheap too! Start off by washing the aubergines and stabbing them all over with a fork. Place them under a hot grill, or directly on the burner of a gas stove, turning regularly until the skin is black, crackled and charred. The more charred the better as this will impart a great, smoky flavour to the aubergine flesh. 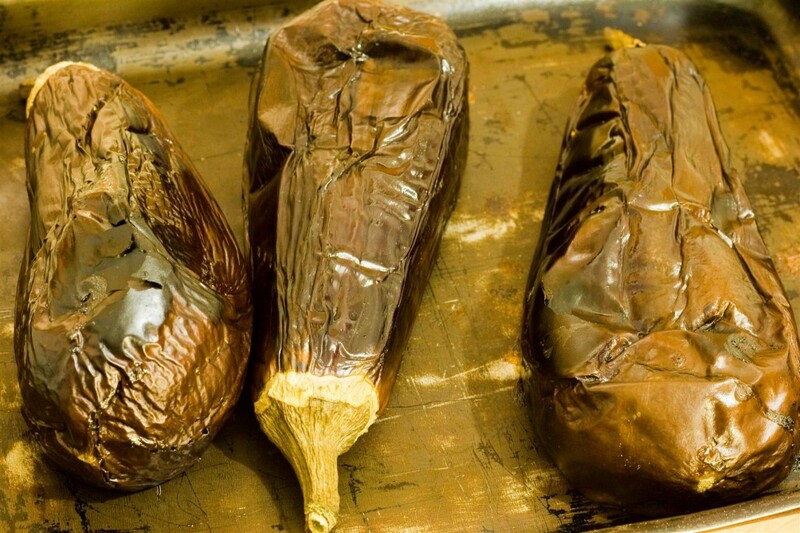 Set the aubergines aside for 10 minutes or so and allow them to cool. 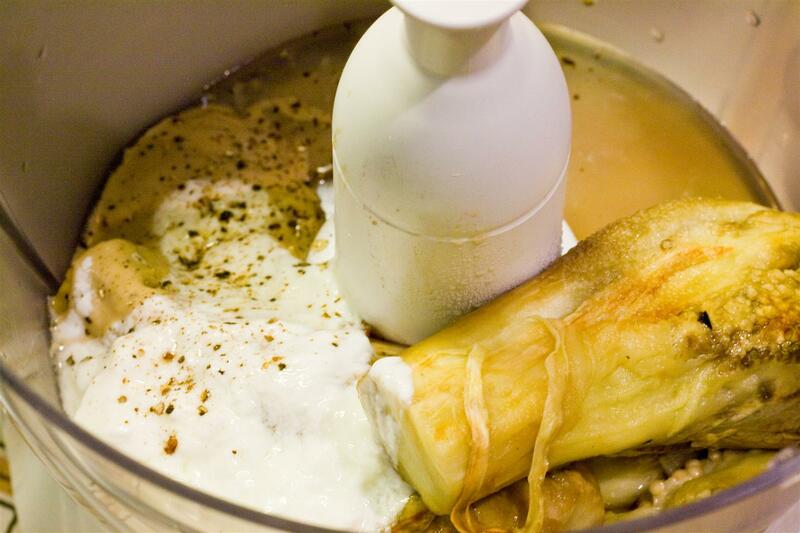 Once they are more manageable peel off the skin and dump the flesh in a sieve to drain off any excess liquid. 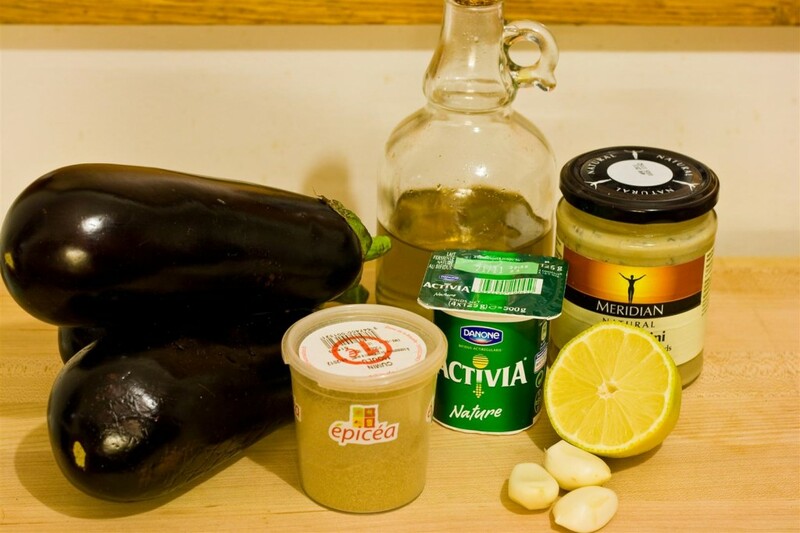 Place the aubergine flesh in to a food processor along with half of the lemon juice, the yoghurt, the tahini paste and half of the olive oil. Grind in some salt and pepper and blend until smooth.